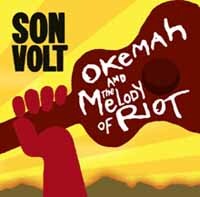 Thrasher's Blog: Son Volt's New "Okemah and the Melody of Riot"
Jay Farrar and Son Volt have a new album, a retrospective disc and a live DVD on the way. "We didn't know what we were capable of as a band. Since none of us knew exactly what to expect, the recording session was unconstrained and spontaneous. I think we found a creative flow." 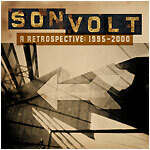 Son Volt's 1997 appearance on the PBS series "Austin City Limits" will be released May 10 on DVD via New West Records. Also, Rhino is releasing "A Retrospective 1995-2000" with 20-tracks. Includes five previously unreleased tracks, including four-track demos of "Tear Stained Eye" and "Loose String," and a live version of "Medicine Hat." 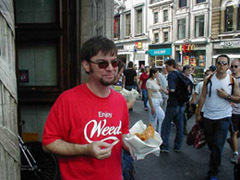 Here's a MP3 download of "OUT ON THE ROAD", an alternate take from 'TERROIR BLUES'. Also, see Jay Farrar Channels Woody Guthrie on Son Volt's New "Okemah and the Melody of Riot". 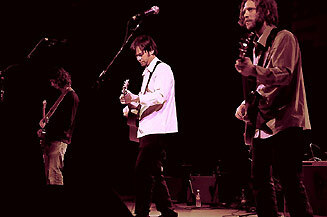 More on Jay Farrar and Son Volt and Uncle Tupelo and their relationship to Neil Young's music.